Catches average 7 to 13 kilograms (15 to 29 lb). 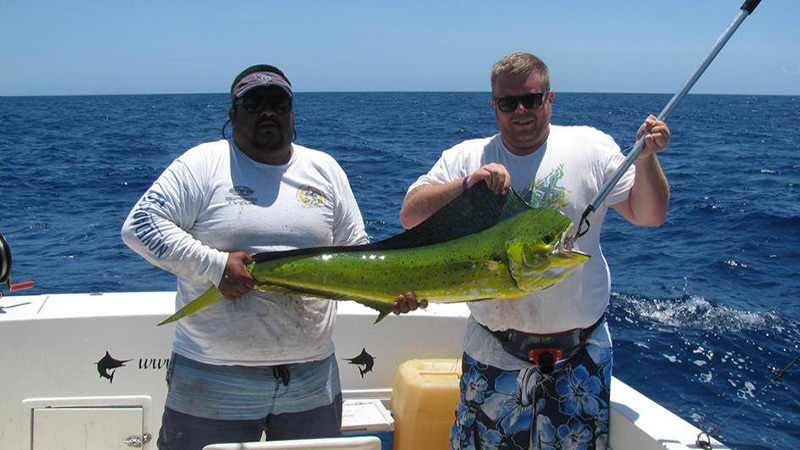 They seldom exceed 15 kilograms (33 lb), and mahi-mahi over 18 kilograms (40 lb) are exceptional. In the Pacific they are also commonly called by the Spanish name Dorado. As well as along the English speaking coast of South Africa.